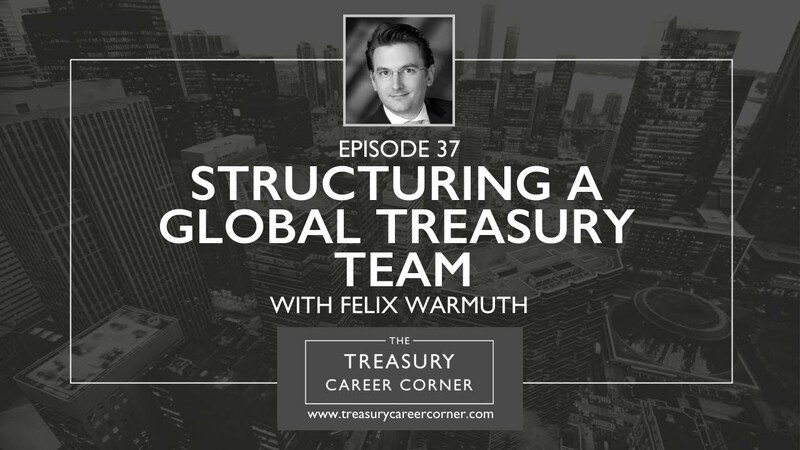 On this episode of the Treasury Career Corner podcast, I’m delighted to be joined by Felix Warmuth, the Head of Treasury at RHI AG/RHI Magnesita. RHI Magnesita is the global leader in refractories. They have the largest number of locations around the world and the most innovative, reliable products and services. Felix is a Senior Executive with more than 12 years of experience in industrial business, specializing in Finance, Treasury and General Management. He is highly experienced in leading global international teams with a focus on financial transactions and state-of-the-art processes, risk management as well as business digitalization and transformation and change management. By understanding cultural fit, diversity management and constantly striving for change and improvement, Felix manages global businesses and financial transactions with international set up as well as highly complex structures. Currently, he is an integral part of the Management team of RHI Magnesita. In his function as Head of Treasury, he is responsible for Corporate Finance and Treasury activities as well as global Credit Risk Management while leading high-performance teams striving for continuous advancement. You can get in touch with Felix and connect with him via his LinkedIn profile. Whether you’ve recently graduated, or you want to search for new job opportunities to help develop your treasury career, The Treasury Recruitment Company can help you in your search for the perfect job. Find out more here: (www.treasuryrecruitment.com/jobs). Or, send us your CV and let us help you in your next career move!